Marvel's latest remake of the beloved Spider-Man takes a difference approach with the youngest Spider-Man, Tom Holland, as he struggles to balance his life as a teenager and his neighbourhood's local hero. The aftermath of the last few Avengers films is what brings us straight into Michael Keaton's Vulture setup; laying the foundations as to why he becomes Spider-Man's adversary. His motivation is relevant and believable making his character more flawed and human. The tone of the film feels similar to the early days of Buffy the Vampire Slayer. Peter's warm and youthful character is delightful and refreshing. Tom Holland brings warmth, sincerity, mischief and truth to the role. Marvel have stripped Spider-Man's story down to the richest and most important aspects of his journey. 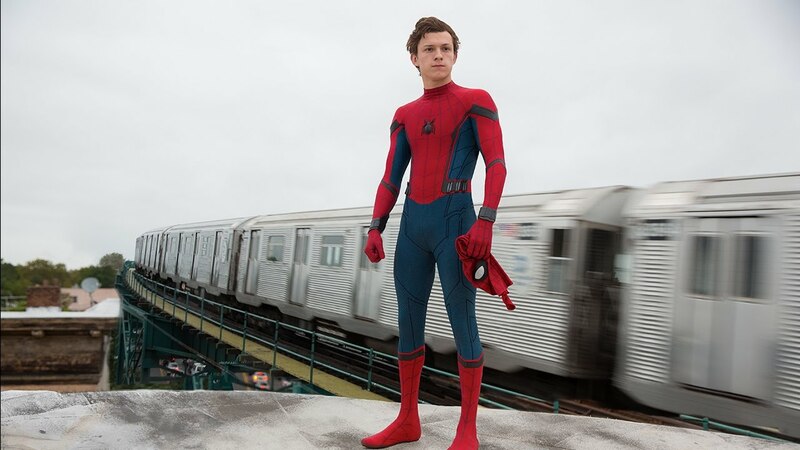 The relability of Tom Holland's version of Spider-Man is his believability that any fifteen year old could lead a life of danger and excitement. Writers Jonathan Goldstein & John Francis Daley have given the Spider-Man franchise a unique voice that is witty, gripping and playful. The sincerity of the script is valuably important to the quality of the plot. Spider-Man and Vulture's conflict feels organic and original in terms of what they both want. Peter is clinging onto the life as Spider-Man; his lack of faith and belief in himself works effectively against Vulture whose faith in providing for his family leads him to make immoral choices. Director Jon Watts gives the film a bright and stylish aesthetic, as well as, catering to the roughness of the New York streets and back alleys. The perceptive angles of Spider-Man's movements are dynamic and exciting. More so, the friendship between Peter and his best friend, Ned make for great character focus. They realistically portray two loyal friends who not only love one another but are comfortable and familiar that they can respectfully disagree with the other's choices. The film gives attention to Peter's social life with humour and spirit whilst allowing Spider-Man to show vulnerability as he pushes himself out from under huge chunks of concrete; a vital tool in proving that Peter has to work out who he is as a person and not to rely on his life as Spider-Man to be all he is. The concluding action scene is both exhilariating and emotionally powerful as Peter makes the courageous choice to save Vulture from an explosive death. Tom Holland beautifully portrays Peter Parker with youthful spirit, playfulness, warmth, recklessness and mischief. The supporting actors bring their own unique energy to the story and each is as diverse and original as they should be. The script is full of jokes, compassion, humility, action and adventure that is thrilling, funny and provides a moral development for Spider-Man; showcasing why he is one of the best heroes Marvel has ever created.